With search engines like Google, finding information on a person before you meet them is as easy and quick as a Kardashian divorce. And when faced with the anonymity of the cyber jungle, it’s tempting to do some online investigating before meeting someone. According to a recent article on AZ Central, even celebrities like Reese Witherspoon investigate their potential lovers online. When it comes to online dating, is such knowledge a good thing? Well, it depends on how you use it. If you’ve emailed back and forth with someone and made plans for your first date, the assumption is that you feel comfortable about meeting him or her. But sometimes you get the urge to find out more about the person you’re chatting with. It’s good to keep your guard up when it comes to online dating. The more you know, the more prepared you are to prevent uncomfortable or potentially dangerous situations. However, the information that we get online isn’t always advantageous. 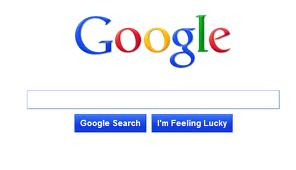 This search engine lists its results based on algorithms derived from site traffic. The top 10 results of any given search aren’t necessarily the best or most relevant — they’re just the most clicked on. This can make for a misleading perspective. You might Google that cutie you’re scheduled to meet for coffee with the innocent intention of seeing what their hobbies are, and instead, find an outdated Hanson fan site, complete with pink hearts and cutesy animations. Even if you’re a whiz at online research, results won’t necessarily tell you much about someone. In the aforementioned article, Witherspoon recounts a troublesome story about a boyfriend who crossed a major line — something her Internet investigation wouldn’t have found. But enough about what you could find about your potential match; let’s talk about you for a minute. What if someone is doing their own online gumshoeing of your past? Since most people use social networking sites like Facebook and Twitter, almost everyone can be found online. While there’s little you can do to prevent someone from typing in your name, you do have control over what comes up on the interwebs. Maybe that innocuous picture of you downing tequila shots in Mexico isn’t the best photo to use as your social media avatar. Think about the kind of person you want to be seen as and edit your public information accordingly. And what about those whose past dark spot was made public? For them, Google is a Ghost of Mistakes Past. Those hits are here to stay, and the only thing you can really do is handle it with grace if your date brings it up. You can’t change who you were or the choices you made, but you can show that there’s more to you than your search results. When it comes to meeting someone for the first time, skip the search engine and go straight for face time. Google isn’t always the best judge of character — yours, or anyone else’s. Think about that before putting your date’s name in the search bar and hitting the enter key. Do you have a story about Google and dating? Share it with us in the comments section below!